As most residential developers will be aware, new measures have been introduced affecting both vendors and purchasers of residential property. It is particularly relevant to the sale and purchase of off the plan units and house and land packages, but you could be a residential developer without actually considering yourself as such – the measures will also apply to one-off projects, such as subdividing the backyard of the family home. Vendors of all residential property must notify the purchaser whether the sale falls under the new GST withholding regime. If so, the purchaser is required to withhold part of the purchase price on settlement and remit to the ATO. Substantial penalties may apply to both purchasers and vendors for failure to comply. The new rules apply to all residential property supplies made from 1 July 2018 (subject to some transitional provisions). Contracts for sale/purchase must give special attention to these new rules. The Law Society 2018 Contract includes the relevant provisions. Since the imposition of GST, the sale of second-hand residential premises has been treated as “input-taxed”, which means that the vendor is not required to collect GST on the sale. However, the sale of new residential premises and potential residential land does not have the benefit of this exemption and therefore would generally be subject to GST (ie a “taxable supply”), unless the vendor can show that the sale is not part of an enterprise which they carry on, or that he/she is neither registered nor required to be registered for GST. Prior to 1 July 2018, the general contractual arrangement required purchasers to pay any GST to the vendor, and the vendor was then responsible for remitting the GST to the ATO when completing their quarterly Business Activity Statement (BAS). Under the new regime purchasers of new residential premises or potential residential land must now withhold a given amount on completion of the sale on account of GST and pay that sum to the ATO, rather than the developer. The withholding amount is then applied as a credit to the vendor’s BAS. This change does not add GST to transactions that were originally outside the scope, but in essence the changes relate to compliance, and have been introduced in response to incidences of “phoenix activity”, whereby some developers were dissolving their development entities without lodging the required BAS thereby depriving the government of tax revenue. It would appear that the government’s motive is similar to that for imposing the Foreign Resident Capital Gains Withholding regime in 2016. As is the case for that regime, these new rules essentially impose the role of tax collector on the purchaser, the vendor and their respective lawyers/conveyancers. certain subdivisions of “potential residential land”, where the subdivision does not contain any buildings used for a commercial purpose. Whilst the meaning of these terms is fairly well understood under the GST law, in practice the application of them is not always clear cut. Legal advice should be obtained if there is any uncertainty as to whether a sale falls into either of these categories or whether the sale is indeed a taxable supply. Generally, “new residential premises” are premises that have not previously been sold as residential premises and have not previously been the subject of a long-term lease for at least 5 years. Importantly, the regime is not limited to sales by large-scale property developers, but can also apply to one-off projects, such as subdividing the backyard of the family home. There are a few limited exceptions to the withholding requirement (eg commercial residential premises such as hotels, new residential premises created by substantial renovations, and sales to GST-registered purchasers entitled to an input tax credit). The new regime creates obligations on both the vendor and the purchaser. The obligation imposed by the regime is for purchasers to withhold part of the purchase price on settlement and remit that amount to the ATO. Note that this amount is not to be paid in addition to the purchase price but is deducted from it. 10% of the GST-exclusive market value if the supply is made between associates (eg for non-market value consideration). Prior to this, however, the vendor (or “supplier”) must give the purchaser a notification as to whether the purchaser is required to withhold together with certain information required by the ATO when the purchaser makes the withholding payment. Form 1 which notifies ATO of the sale. This can be given any time after entering into the contract but should be done as soon as possible. Form 2 which notifies ATO of the settlement date. This can be lodged at or before completion of the sale. Upon settlement, the purchaser must then make the withholding payment to the ATO, normally by either cheque or, if setting electronically, via the PEXA platform. 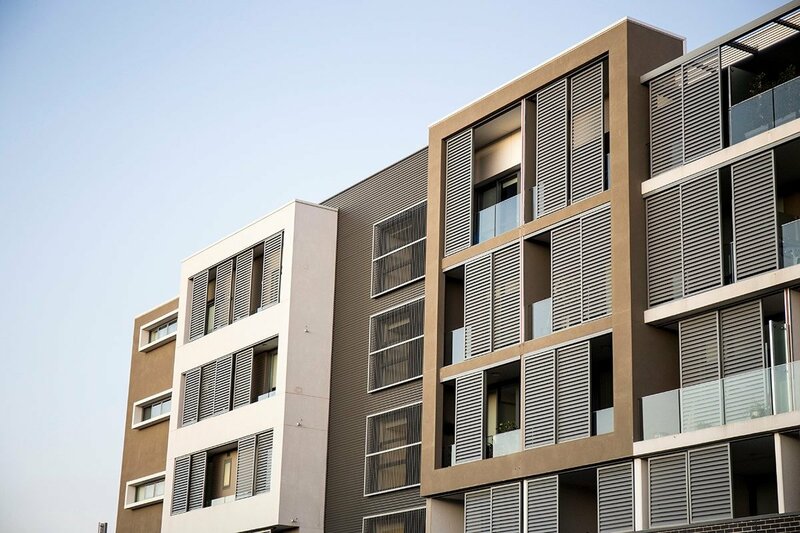 Developers and other suppliers of new residential premises or potential residential land must consider the cash flow impacts of the GST component not being available on settlement. Foreign resident suppliers could also be subject to 12.5% withholding under the Foreign Resident Capital Gains Withholding regime. Purchasers must consider the consequences of failing to withhold in light of the penalties which may apply. There are substantial penalties applicable in the event of a failure by the supplier or the purchaser to meet their respective obligations. Most notably, if a purchaser fails to pay the necessary withholding amount, he/she may be liable to a penalty equal to that amount. If a supplier fails to give the required notification to the purchaser, the supplier can be liable for penalties of up to $21,000 for an individual, or $105,000 for a corporation. Importantly, a purchaser cannot blindly accept a supplier’s notification that withholding is not required. On the contrary, the purchaser should be sceptical and make appropriate enquiry. If there are circumstances or disclosures in the contract which would make it unreasonable for the purchaser to believe that the supplier’s notification is correct (eg if the property is clearly marketed as an off-the-plan unit or a house and land package), then the purchaser may still be liable for penalties for failing to withhold. The new withholding regime applies to all contracts entered into from 1 July 2018. For contracts entered before this date, the regime will not apply if payment (other than a deposit) is made before 1 July 2020. This represents a grace period for contracts entered into prior to 1 July 2018. Naturally, vendors will be concerned to ensure the ATO will promptly receive the withholding amount so that the appropriate credit is applied to their BAS, whereas purchasers will be concerned to ensure that they will be protected from penalties. Sound legal advice is required to balance these competing interests and find an appropriate solution. Please talk to any member of our property team for further advice.